GEORGE E. CURRIER, M.D. ; CATHERINE CULLINAN, M.D. ; DAVID ROTHSCHILD, M.D. 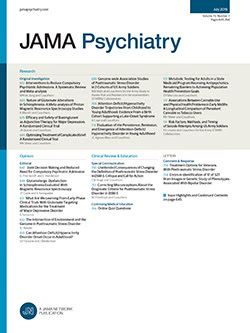 THE TREATMENT of schizophrenic psychoses has always presented a challenge to psychiatry. Attitudes toward their treatment have changed from time to time, depending to some extent on prevailing conceptions of the nature of these disorders. The traditions handed down from the teachings of Kraepelin tended toward a highly pessimistic outlook. In recent years more optimistic views have commonly been expressed. One of the factors contributing to this change has apparently been the enthusiasm associated with the introduction of the shock therapies. These new procedures cannot be regarded as panaceas, but they have undoubtedly tended to minimize fatalistic attitudes and stimulate more active therapeutic efforts in a variety of directions.